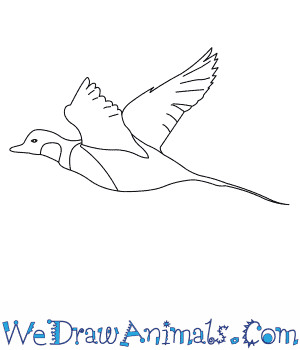 In this quick tutorial you'll learn how to draw a Long Tailed Duck in 6 easy steps - great for kids and novice artists. At the bottom you can read some interesting facts about the Long Tailed Duck. Step 1: Let’s start drawing! 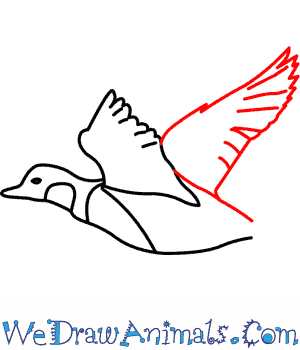 First, we draw the duck’s head. The head is round with a small beak. Step 2: Then we are going to add its face. Add a small oval for its eye and ‘n’ shape in the neck. 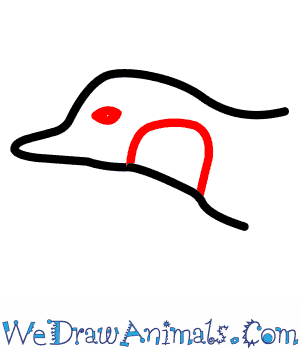 This duck has a white head and a brown spot where the ‘n’ shape is. 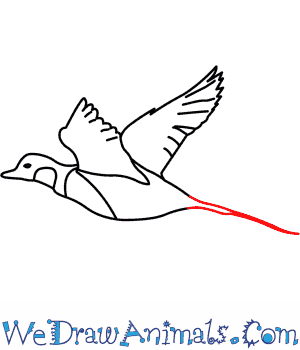 Step 3: Next, we are going to draw its belly and duck has more color on its chest so add a line from the neck to the middle of the belly. 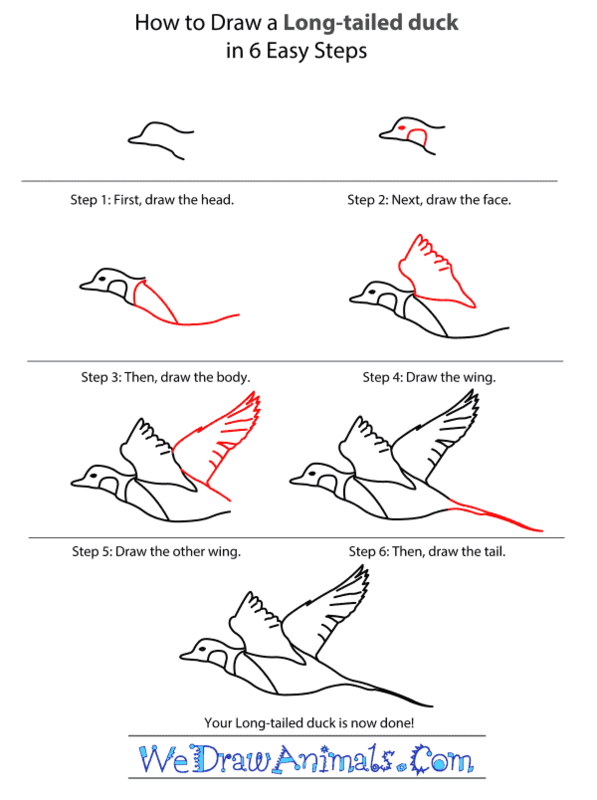 Step 4: Now, let’s draw the first wing. The first wing needs to look closer to you so draw it a little short and bumps and small lines to add the feather feature. 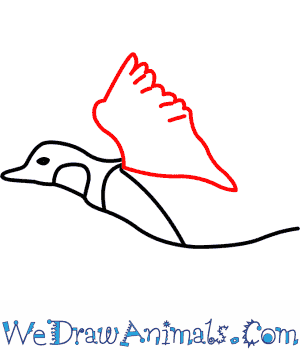 Step 5: The next step is to draw the second wing and part of its back. This wing will be longer than the first wing because it is further away when you are looking at it. Draw a line for the duck’s back. 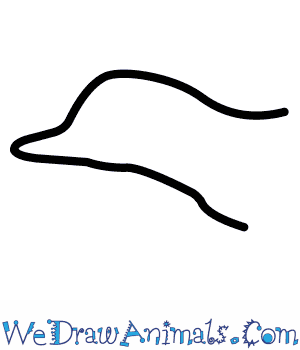 Step 6: The last step is to draw the tail. 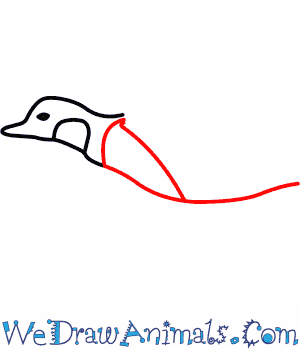 This duck’s tail is very long and thin, so have the tail come to a point then draw a single line. The long-tailed duck is found in the northern part of North America. It breeds in streams, ponds, and arctic wetlands, and it winters on the open ocean or on large freshwater lakes. The long-tailed duck has mostly black and white plumage. This duck eats mostly aquatic invertebrates, but also feeds on fish, fish eggs, plant material, and bivalves. It dives for prey on or near the bottom of the water. The long-tailed duck grows to a length ranging from 15 to 22.8 inches, has a wingspan of about 28.3 inches, and weighs from 17.6 to 38.8 ounces. This duck is one of the deepest diving ducks. It can dive as deep as 60 meters. When foraging, the long-tailed duck is submerged under water three to four times more than it is on top of the water. Long-tailed duck eggs are pale gray to olive in color. Females lay an average of six to eight eggs per season. Eggs are incubated for 24 to 30 days. Long-tailed ducks have an average lifespan of 15.3 years.